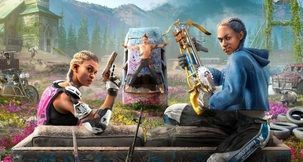 Like previous entries in the series, Far Cry New Dawn lets you choose how to approach battles. 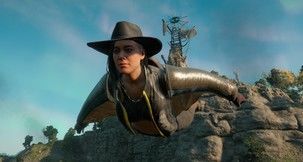 Whether it's going in gun blazing, coordinating with your companion or being a silent assassin with a bow, all approaches benefit from knowing your surroundings and tagging as many enemies as you can beforehand. One of the essential tools for tagging foes isn't given straight away to you this time around. 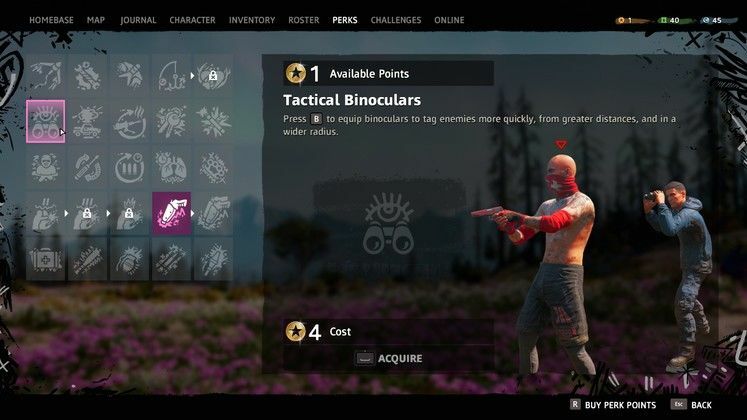 This is how you unlock the Tactical Binoculars in Far Cry New Dawn. 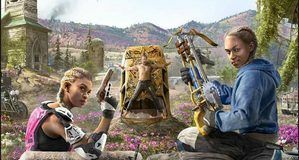 How Do You Unlock the Tactical Binoculars in Far Cry New Dawn? In Far Cry New Dawn the Tactical Binoculars are locked behind one of many available Perks, which act as character upgrades. You'll need 4 Perk points to unlock the Tactical Binoculars. One good way of getting the points is by completing Challenges, such as killing a certain number of enemies with certain guns. 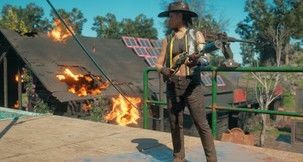 You can also earn Perk points while exploring post-apocalyptic Hope County, either by freeing prisoners from Prison Trucks, or by finding special magazines, of which three are rewarded at the end of each Treasure Hunt.